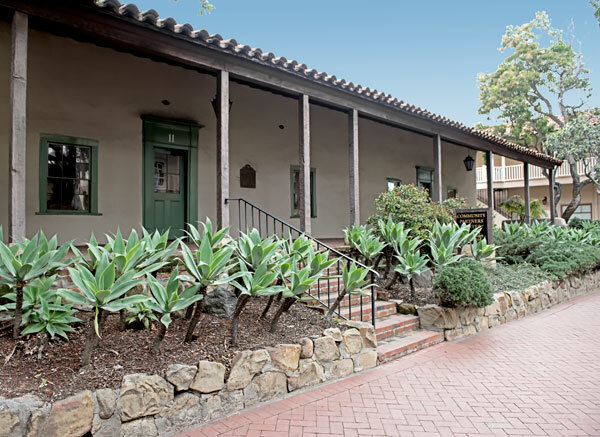 Built in 1826 by Daniel Hill of Massachusetts for his bride Rafaela Luisa Ortega y Olivera, granddaughter of José Francisco Ortega, founder and first commandante of the Royal Presidio of Santa Barbara. Later occupied by the family of Guillermo Carrillo. Here in 1850, the first City Council met. Preserved and presented to Santa Barbara Foundation by Major and Mrs. Max C. Fleischmann. Plaque placed by the California State Park Commission in cooperation with Santa Barbara Foundation November 29, 1960. 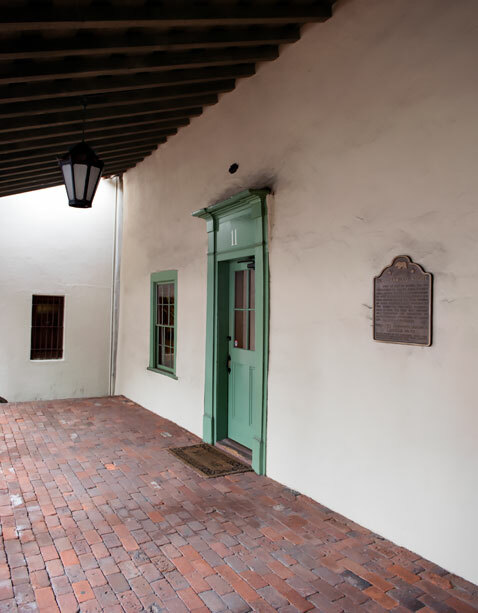 Official California Registered Historical Landmark plaques are made of bronze and have a standard design which includes a bear and two stars. The plaques typically have a landscape aspect. This is the only bear plaque we have encountered with a portrait orientation. 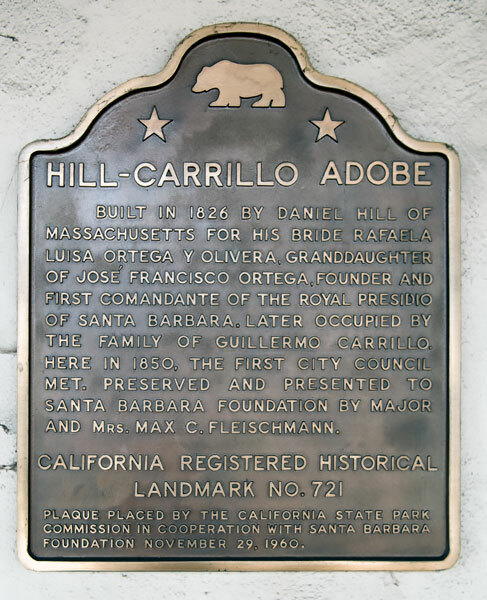 The Hill-Carrillo Adobe is also National Register listing #86000778.